Vendmark Technology is a distributor of quality products used in the maintenance and repair of electronics, office equipment and the environment in which these sensitive equipment are manufactured, tested, operated and stored. We offer the most effective products available from manufacturers such as; ACL Staticide , MG Chemicals and others. We have also partnered with other chemical manufacturers to formulate our own private label equipment cleaner and a specialty roller cleaner. Our customers consist of varied markets including electronics, graphic art, imaging, industrial, IT, office equipment, medical, manufacturing, military & defense and telecommunication. When you need quality lint free wipes, you can depend on us for a proven and effective product made by FG Clean Wipes. Why use off the shelf type products found in your hardware and drug store when you can buy products which are formulated specifically for electronics and the environment they are manufactured or used in. Better yet; our products are ESD safe and RoHS Compliant. The ideal tool for the service technician during servicing or repairing of electronics and office equipment. 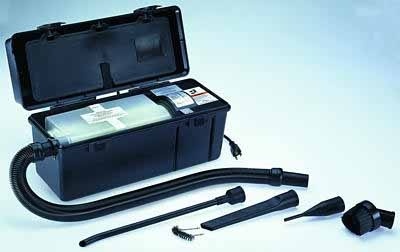 Vacuum is equipped with a standard type 2 filter and a 6' toner proof hose. Industrial Grade Lint Free Wipes Are Ideal for any environment and Equipment.. 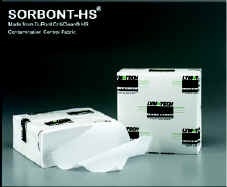 These general purpose wipes combine highly absorbent natural cellulose fibers with tough polyester fibers, hydro-entangled for maximum strength. Any feature of these wipes can be customized to meet your specifications. Absorbent: Absorbs four times their own weight. Strong: Hydro-entangling creates a stronger web. Nonabrasive: Soft texture won’t scratch surfaces, wet or dry. Anti-Static Solution Kills Static to a Zero Charge.. Easy-to-use solutions that reduce static electricity. 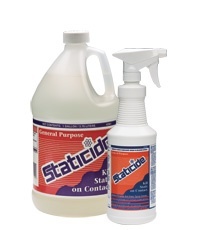 Staticide anti-stats decay static to a zero charge faster than any other anti-static topical on the market. This convenient and ready-to-use anti-static topical cleaner eliminates static to a zero charge and prevents tribogeneration on all environmental surfaces, plastic products, and product packaging.